Flex Coat Finishes are easy to use, but it does help to understand the working properties of epoxy finishes. Over the years, rod building experts have developed a number of helpful tips for using Flex Coat, as well as countermeasures for various situations which have occurred. 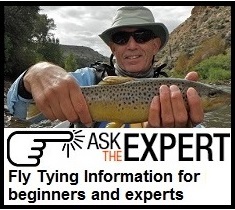 The following tips are from “Start to Finish Fly Rod Building” by Ryan Seiders and Dan Smith. Heating both A and B resins prior to mixing, aids in measuring, mixing, and application of the epoxy finish. Heating thins the two parts for more accurate measurements and aids in thorough mixing. This heat thinning releases bubbles trapped in the finish during mixing and allows the finish to soak into the wraps more rapidly. Heat the A and B bottles with a lamp, hair dryer, warm tap water or other heat source until the bottles are no longer cool to the touch, but not hot (about 80° to 90°). On warm days this will not be necessary. Accurate measurements of resin and hardener are very important. Consider using Flex Coat Syringes and Mixing Cups to eliminate any chance of unequal measurement. If using a mixing cup, it is recommended that at least 10 cc of each part be used to assure accurate measurement. To mix properly measure the resin and hardener in a small, clear, non-porous cup. To mix the two parts, use rounded, non-porous stirrers, such as a disposable brush handle or plastic swizzle stick. Mix the two equal parts thoroughly until the mixture is completely clear (no cloudiness or streaking). It helps to mix in a well lighted area so that you can observe the mixing process. To avoid very small milky bubbles, do not mix the epoxy finish rapidly. Avoid the use of paper cups. paper surfaces, and wood sticks, as these items will introduce small bubbles into the epoxy finish mix. Heating both parts of the finish prior to mixing will help to eliminate these bubbles. If crazing and cracking of the finish around the guide feet becomes a problem, consider avoiding color preserver on the wraps that hold the guides. Also, make sure that you use equal portions of parts A and B in mixing the finish. (The component which makes Flex Coat flexible is located in part B—Hardener). Bubbles surfacing at the base of guides and trapped under the finish can be popped by using low heat from a propane torch or other heat source. Flash the wraps gently with the heat source, taking care not to overheat the finish. Avoid contaminating finish with silicone. Any source of silicone such as silicone in medical syringes purchased at a drug store or silicone on monofilament can cause the finish to fisheye or separate from the rod blank and wraps. NOTE: Flex Coat syringesare manufactured to strict guidelines and do not contain any silicone! Unequal measurement and incomplete or poor mixing of the two part epoxy may result in an uncured, “sticky” finish. To correct, recoat the wraps, taking care to measure and mix thoroughly. A well mixed coat over a slightly sticky finish should cure the problem. Occasionally a frayed end or stick-up of thread may project from a finish. To correct this, allow the finish to dry and then slice off this projection with your utility knife or razor. Recoat the wrap with Flex Coat Rod Finish. The useable pot life of the Flex Coat mixture can be extended by pouring it out onto a flat surface of aluminum foil after mixing. Yellowing of the finish can result from reaction with lacquer base color preservers, incomplete mixing, or unequal portions of resins A and B. For the rod builder who likes an extra thin coating on rod wraps, there are three ways to get a thin finish. Use a stiff brush which will spread the Flex Coat evenly and thinly over the wrap. Heating will also thin the finish. Thinning with a solvent such as acetone or epoxy thinner also works. Between 1 and 4 drops of solvent per 6cc mix of epoxy is recommended. Damaged guides are best removed by shaving or planing through the Flex Coat finish and thread down to the rod blank. Use care to avoid damaging the blank finish. If a color preserver has been used, the finish and thread will be easier to remove. If no color preserver was used, completely shave the thread and finish off. Solvents will not work for dried finish removal. Flex Coat Color Preserver which has been frozen is no longer useable. It will solidify and will not return to a useable state. Under certain circumstances (when stored in cold areas), epoxy resin part A will crystallize in the same way as honey. To restore the resin to its original state, heat the bottle in hot (not boiling) water. Note: This crystallizing absolutely does not damage Flex Coat Finish. If you do not have a rod support for finishing, cut small “V’s” into the top of a cardboard box to support the rod while finishing. Flex Coat rod finish works best in a room temperature of 65 to 90 degrees F.
Syringes should not be cleaned. Unmixed resin will not harden. Store the syringes with the plungers pulled up to midpoint to prevent sticking. Keep the syringes in small separate containers for further use. Clean brushes and other tools while the epoxy is still liquid using acetone, lacquer thinner, epoxy thinner, etc. Do this outdoors or in a well ventilated area.